From Steelcase, “Through the integration of furniture and technology, media:scape is reshaping the way people collaborate in a connected world. Most collaborative work spaces today support leader-led presentations where information is controlled and shared by one person at a time. media:scape removes these barriers and democratizes how people access and share information by allowing all participants to contribute their ideas – equally, quickly and seamlessly”. 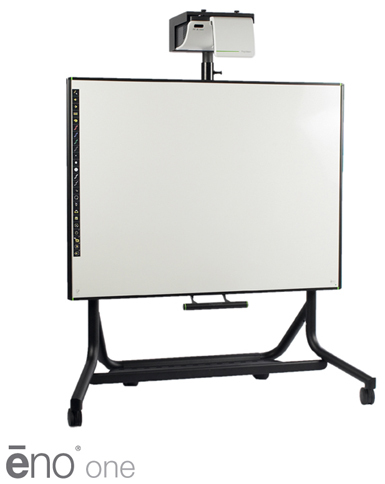 From Polyvision, “The flexible and agile eno one height-adjustable mobile solution is tailored for the comfort and safety of teachers and learners. Gliding the board up or down brings math problems to eye-level. The unobtrusive ultra-short throw projector minimizes shadows and glare. 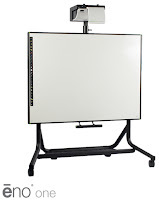 And, the dedicated projector icon strip gives the teacher more control—right at the board. No matter the teaching style or accessibility challenge, eno one meets teachers and students wherever they are”. 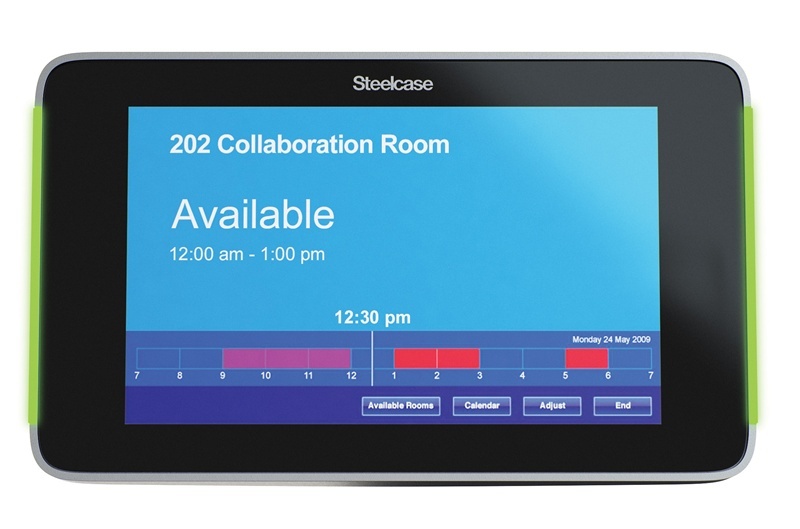 From Steelcase, “RoomWizard works with a variety of calendar systems including Microsoft® Outlook® and Lotus Notes®. 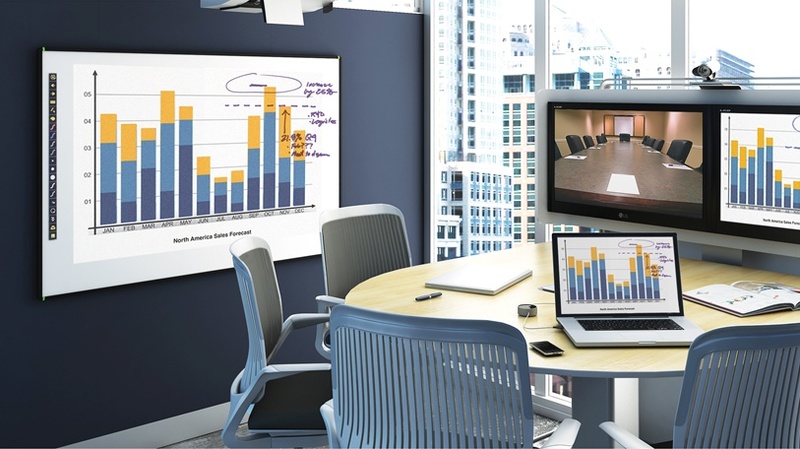 Meetings can be managed seamlessly via web, laptop or smart phone. When workers find an open meeting space, they can reserve it instantly and get to work. It even keeps track of space utilization with a database that measures and reports reservation patterns”. 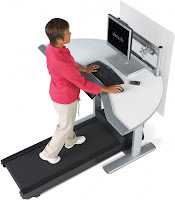 From Details, “The Walkstation is the combination of a fully integrated electric Height-AdjusTable Worksurface with an exclusively engineered, low speed commercial grade treadmill. At a maximum speed of 2mph the Walkstation lets you walk comfortably, burn calories, feel healthier and more energized…all while accomplishing the work you’d normally do while seated”. Personally, I can’t wait until we get this back in the showroom! All of these tools help organize, create, collaborate, and/or keep you moving. Please feel free to leave a comment for any feedback about these products!